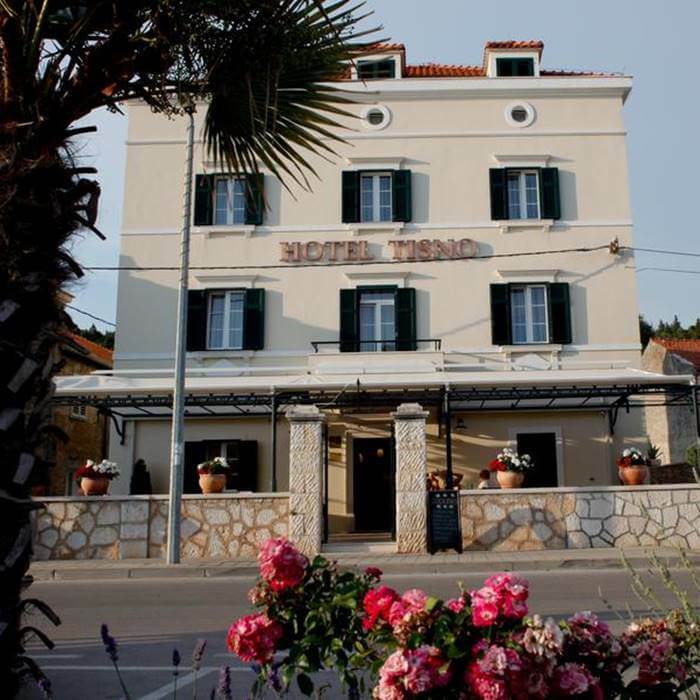 Book this holiday in Croatia at Heritage Hotel Tisno a 4 star situated on the picturesque waterfront of Tisno. The property dates back to 1898 when it was recognised as a cultural asset, by the Conservatory Department of the Ministry of Culture of the Republic of Croatia. 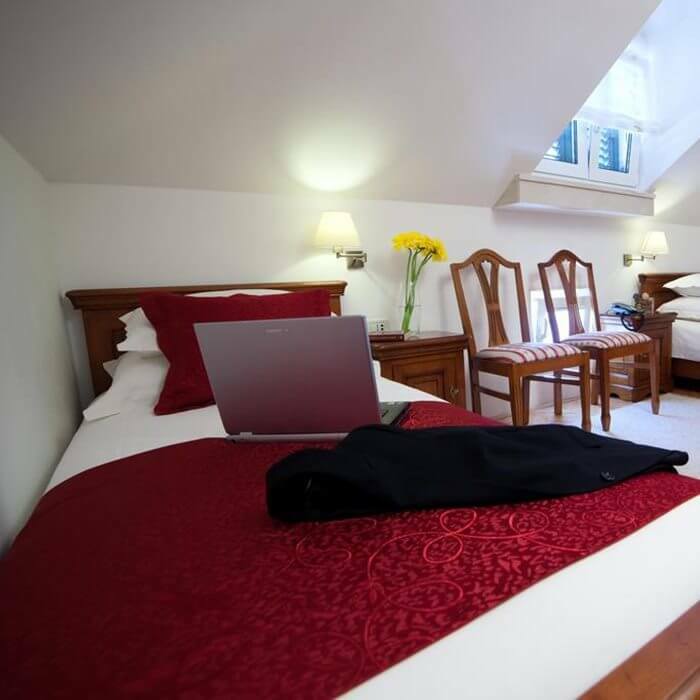 Refurbished and restored, the hotel now offers comfortable and spacious modern accommodation. 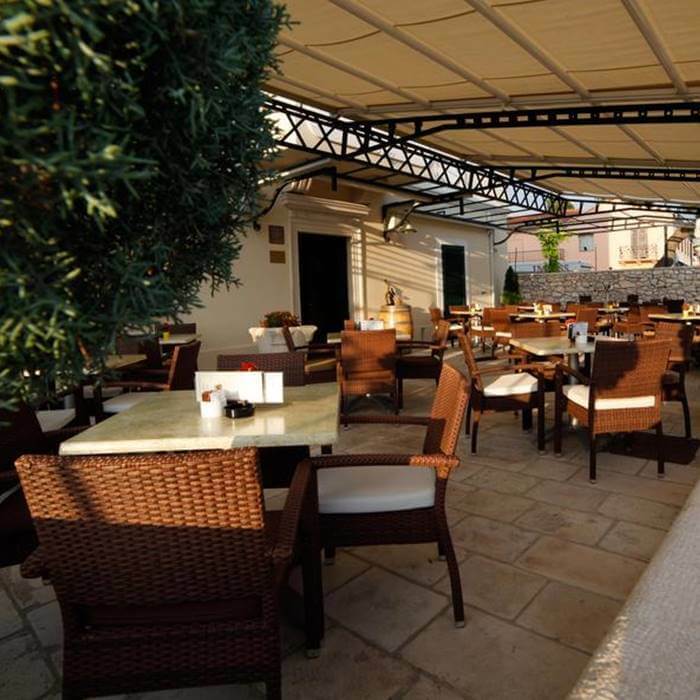 Heritage Hotel Tisno is a 4 star family run boutique property that has been restored and refurbished to provide comfortable and luxurious accommodation within easy of all of the popular local cafes, bars, restaurants and shops. All of the 9 guest rooms are fully air-conditioned and decorated to a high standard, and include all the amenities required. Some of the rooms feature a balcony or terrace with stunning sea view. After a leisurely buffet breakfast in the hotel restaurant, guests can relax and unwind in the outdoor pool and sun terrace, with the use of free towels. Holiday makers who prefer to be a little more active can hire a bicycle for the day, to explore the stunning countryside and coastal region of Tisno. Hotel guests can arrange a day trip or excursion and enjoy the scenic beauty of the Krka National Park, Kornati National Park and the Isle of Murter. With the seafront situated just 400m away there is always plenty to do. The island of Murter is also easily reached from the hotel, which offers a selection of bars and restaurants to enjoy during the day or in the evening.